Whether this is your first year in the selling business or your fifth, the fast pace of the holidays hits us all. Maybe you’re proud that you revamped your store with EYStudios in time for the craziness. And you’re confident that you’re going to see historical highs with your sales this season. We all get excited at the prospect of increased holiday traffic and sales. But, with each sale, there’s another box, packing slip, and shipping label to be generated. And what happens when you’re also selling from Etsy or eBay or on Amazon? It all gets jumbled when you’re scrambling after Black Friday and the Christmas rush. So, you might find yourself thinking, “shipping’s going to be a nightmare this year.” But it doesn’t have to be that way. 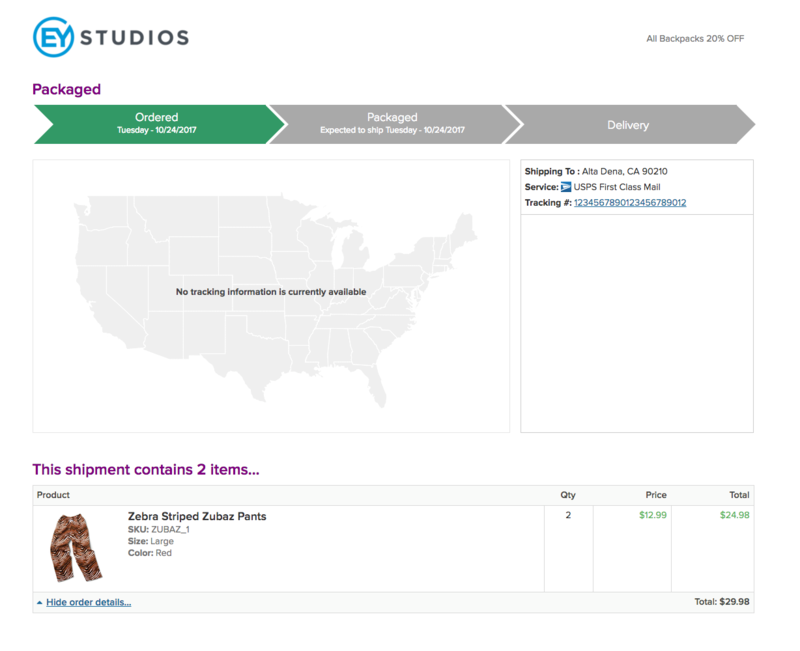 Here are our top 5 tips to make your Holiday shipping and ordering process efficient: 1. 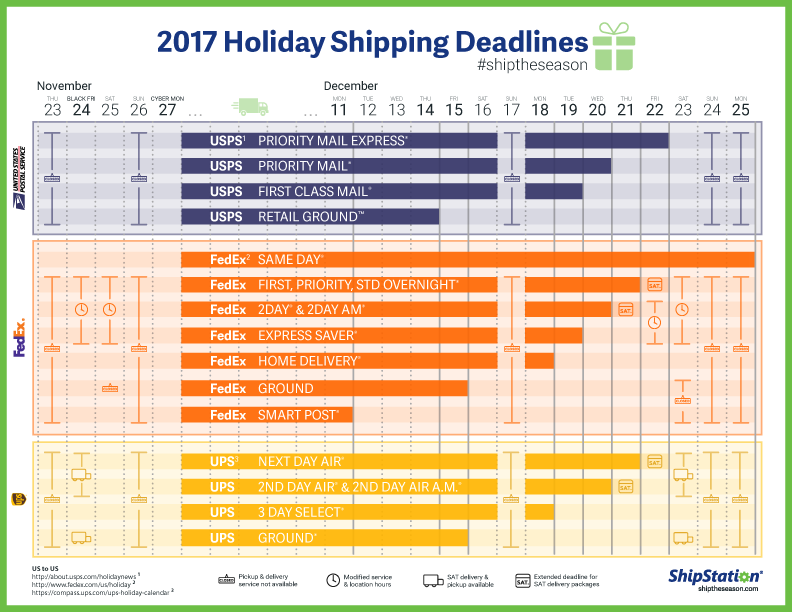 Compare Carrier Rates & Know Shipping Deadlines Online shoppers want to have many options on shipping (fast or well…faster for the procrastinators). This means that you should also connect to as many carriers as it fits your business needs. Then you should know when to use the carriers. Some shipping solutions, like ShipStation, offer carrier rate comparisons. Also, whether you’re using USPS, FedEx, or UPS – make sure you know when orders have to be in to make it in time for Christmas. For more on shipping deadlines, click here. 2. Keep Prices & Inventory Up-to-Date Everyone has holiday sale bundles and various sales blitzes and discounts. We do it because it works and we see great holiday traffic, but how does that work on the backend? Much of the holiday season headache comes from missed or incorrect orders. There’s a correlation between stressed employees and data entry errors. Don’t be that company that has inaccurate inventory and prices. You don’t want to have to go back and tell a customer, “sorry, we’re actually sold out” or have your customer service lines clogged with calls about incorrect prices. Reduce the errors by utilizing an inventory management solution. Most eCommerce platforms , such as Magento and BigCommerce, come with this feature built in. If you need something more robust, you can look to connect an ERP system through a company such as eBridge Connections. 3. Retaining Holiday Customers: Branding Many new customers come from holiday sales, but the problem is in retaining them. It’s all about the shopping experience they had – from browsing, checkout, to returns. From a shipping perspective, to keep your brand top of mind with customers, add a thank you and coupons in the box. Also, think branding even with shipping. Some ways to do this: 1. Having your box labeled with your logo 2. Have branded shipping labels 3. Have your brand on the tracking page 4. Capitalize on Good Return Policies Make returns easy for your customer. Consider providing return labels and even free holiday return shipping. A customer who had a hassle-free experience with holiday shipping is more like to return in the new year. 5. Have It All in One Place Your to do list has grown a bit, but one last tip: have your inventory, discounts, and shipping applications all in one place. Now that your customer’s experience is seamless, let’s streamline the back-end process too! Connect all your applications to a solution like ShipStation that supports the largest carriers, inventory management systems, and offers a branded tracking and shipping experience. Happy holiday selling! About ShipStation ShipStation is the leading web-based shipping software that helps online retailers streamline their order fulfillment, wherever they sell and however they ship. Our features include: order importing from over 90 selling channels, auto-selecting shipping preferences, custom fulfillment rules, multi-carrier label creation (for over 30 carriers including USPS, UPS, FedEx, DHL), automatic shipping confirmations, and more!